Turmeric can claim many health benefits and is a great spice to add colour and flavour to your food. 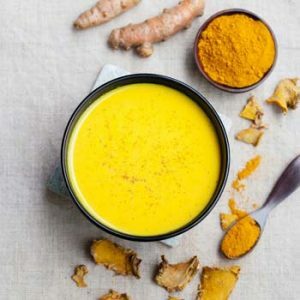 More than just a ‘hipster’ drink, ‘golden milk’ as the turmeric latte is sometimes called, contains curcumin, turmeric’s active constituent, which has been shown to be a powerful antioxidant, comparable to vitamins C and E.
Curcumin is linked with several benefits including lowering inflammation, soothing digestive problems and acting as a general health tonic. 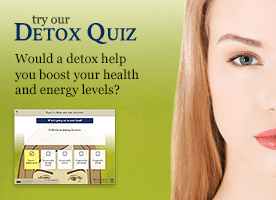 Recent research also suggests it may have some benefit in lowering cholesterol. Coconut milk is a traditional base for golden milk and ensures you get enough fat to aid the absorption of beneficial curcumin into your system. * In place of the coconut milk you can substitute the same amount of almond or cashew milk or full fat cow’s milk, if you prefer. 1 Combine the coconut milk (or other milk choice), sugar, turmeric, ginger, salt, and water in a small saucepan and whisk thoroughly. If you are grating fresh turmeric, wearing gloves is a good idea as it will stain your hands. 2 Bring the mixture to a boil then remove from the heat and let it sit for 5 minutes. 3 Strain through a fine-mesh sieve into a mug and serve with a pinch of nutmeg. Makes 2 small or one large mug. As an alternative serving suggestion, why not try serving your latte cold with ice or use moulds to freeze into ice pops. Q&A: Can turmeric help soothe psoriasis?